Time to look at the final of the two Wave 5 ships, the Pelta-Class Cruiser from the Phoenix Home expansion. It is an interesting ship that isn't "great" at fighting, but can be used as a platform for a new type of upgrade - Fleet Support. Each one has you spend a specific token in the start of the ship phase to give yourself a very nice buff. Both variants are 5 hull, small base ships, with Brace / Redirect / Evade defense tokens. Putting them roughly in line with a Gladiator in terms of how much punishment they are able to take. Shields are similar to the Gladiator as well, with 3 Front / 2 Sides / 1 Rear. The Pelta-Class also comes with 2 Command Value, and 4 Engineering Value, making it a little bit better at rebuilding damaged shields, and moderately responsive to new orders. Unfortunately its speed is nothing to write home about, boasting a maximum speed of 2, with 2 yaw at speed 1, and with 1 yaw at the first click, and 1 yaw at the second click with speed 2. It practically begs for Engine Techs. Fortunately, all variants can take Engine Techs, or any other Support Team upgrade. They can also take an officer, and the new Fleet Support upgrade. Did I say an officer? The one and only title, Phoenix Home, lets you take 2 Officers on a single ship. Now that is something worth brainstorming. The Assault Ship variant comes in at 56 points with a low Squadron value - just a single 1. In exchange it boasts some respectable anti-squadron firepower with 1 Blue / 1 Black. It also comes with a Front Arc of 2 Red / 2 Black, Side Arcs of 1 Red / 1 Black, and a Rear Arc of 2 Red, making it a very front arc favorable ship. Interestingly, it boasts the Ordnance upgrade slot, the only ship to have one and not have a Weapons Team upgrade slot - no Ordnance Experts for you. Expect to see this variant as the cheaper Fleet Support platform, closing to battle with its front pointed towards the enemy. It can also do a decent anti-squadron platform with a Blue / Black shot. The Command Ship variant comes in at 60 points, and gives an extra 2 squadron value over the Assault Ship, bringing it to 3. In addition, it replaces the Ordnance upgrade slot with the Offensive Retrofit slot, giving it the chance for a 4 Squadron Value. While not quite "Flotilla" efficiency, it gives you the option of (with Phoenix Home) having a guaranteed 5 squadron activation by taking Raymus Antilles and Wing Commander. The anti-squadron capabilities are scaled back somewhat from the Assault variant, with just a single Blue die. While the anti-ship attack is range boosted to 2 Red / 2 Blue Front, Red / Blue Side, and 2 Red Rear. Look to see this guy replacing Assault Frigate MkII Bs as carriers, especially if you don't actually need Flight Controllers. The fact that they can take Fighter Coordination Team is just gravy. Commanders: Dodonna would like the Assault Ship, or really either one, since half of the reason to take him is the inexpensive cost. Garm gets less value out of the Pelta than say an Assault Frigate, but 2 tokens is nothing to snear at, nor is 4 tokens with the Title, and tokens really help Fleet Support upgrades, especially turn 1 Fleet Support usage. Get those B-Wings into position! Mon Mothma does have an evade to work with, and so isn't worthless for this ship either. Admiral Ackbar doesn't do much, because the ship isn't a broadsider by nature. 2 dice sides for 60 points is not quite what the good Admiral wants to see. Rieekan loves a good cheap 5 activations for his Aces, but otherwise nothing amazing here. Madine gives the Pelta some boosted maneuverability at speed 2, but not much to write home about. Cracken is worthless for the ship, as it cannot reach speed 3 at all. And then we have Sato. Being able to turn those 2 Reds at long range into Blacks is a nice trick, to be sure. And Fighter Coordination Teams / Rapid Launch Bays / Expanded Hangers help make sure you have your squadrons in place to use Sato's ability. Officers / Title: You can't talk about officers without first talking about the one title - Phoenix Home. 2 Officer slots marks the second time you are able to double up on upgrades (Liberty-Class MC80 being the first, with Turbolasers). Right now, the popular double is Raymus Antilles and Ahsoka Tano - giving you whatever token you need each turn. Other options are one of the "guaranteed command" officers like Wing Commander, and the officer that you actually wanted to use (Raymus / Major Derlin), or with the token generation you are producing, you may be able to get away with a Liaison level of security. Lando / Derlin offers an annoying amount of damage reduction for a key ship. There are a lot of combinations to look through, so play around and find out what works best for you. Support Team: For the Command Ship - Fighter Coordination Team. For the Assault Ship - Engine Techs. Maybe a Medical Team for a flagship? Shields to Maximum / Projection Experts could be an interesting combo. Fleet Support: All Fighters Follow Me - boosted speed for all your activated fighters? Sounds pretty good to me. Definitely one to put on a carrier Command Ship. Entrapment Formation - navigation without navigating? Expect to see a lot of this one. Shields to Maximum - a shield for everyone! This may be the weakest of the group, but a defensive built fleet may find this just what it needs to stay alive. Ordnance: The Assault Ship doesn't have a Weapons Team upgrade slot, so any critical effects are questionable at best. This is the only place for Rebels to take Flechette Torpedoes though, so expect to see that pop up from time to time. Expanded Launchers turns the front into a GSD front arc - nothing to sneer at. Rapid Reload turns it into a double arc threat. Offensive Retrofit: Expanded Hangers is an obvious option, as is the new Rapid Launch Bays. Boosted Comms is an excellent option on a very slow ship. Your other options are less useful. Fleet Support - The Fleet Support upgrade is good enough to bring this ship in purely as support, though that is not to say that it cannot contribute in another meaningful way. Carrier - The Command Ship variant screams to be used as a carrier. With the possibility of 5 activations, for cheaper than an Assault Frigate MkII-B, it is difficult to argue for not taking it. Anti-Squadron Platform - The cheapest way to get 2 dice on an enemy squadron for the Rebels, and the only way to get Flechette Torpedoes on target. 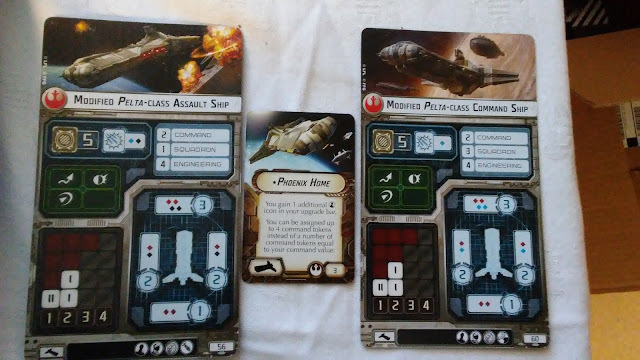 The Assault Ship is the best anti-squadron ship the Rebels have at the moment in terms of cost / dice (not counting flotilla). Mini-Brawler - The Assault Ship can take enough ordnance to make a pretty convincing brawler, though it is slow to get into position. Sadly, Garm doesn't give you 4 tokens on Phoenix Home. Each ship only gets a number of tokens equal to its command value which remains 2. Still, you can bank two free tokens and a third from a Turn 1 command for some nice mid-game flexibility. The Phoenix home title card would seem to allow for 4 tokens. You can have four tokens, yes, but Garm would only give you two of them each time he triggers. 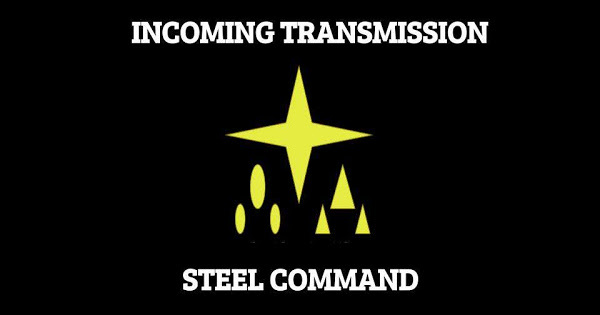 "Each friendly ship may gain a number of command tokens equal to its command value". Phoenix Home does not change your command value. You can certainly add more tokens through other means. But Garm's ability only gives 2 tokens to Phoenix Home. So starting w/ Garm and then using Comms Net to stack 2 more tokens (for a total of 4) is totally viable. Whoops. Screwed that one up. What other double upgrade options are there besides the double Turbos on the MC80 Liberty-Class? ISD I with double offense and MC80 Assault with double defence. it naturally has a GSD front arc..... doesn't need EL to get that. Yeah, but the lack of Ordinance Experts kind of hurts the expected damage output. Well, I definitely didn't follow this guide for my Pelta. :-) I'm using an assault Pelta as a flagship for an Ackbar TRC90 swarm with shields to maximum for CC.